Cologne is Germany's fourth largest city and also happens to be the largest in the German Federal State of North Rhine-Westphalia and within the Rhine-Ruhr Metropolitan Area. The fact that the city is located on the banks of Rhine River has attracted 10 million residents in the city, making it one of the largest metropolises in Europe. With its hundreds of tourist attractions, festivals, nightclubs and theaters, the city attracts millions of tourists every year. 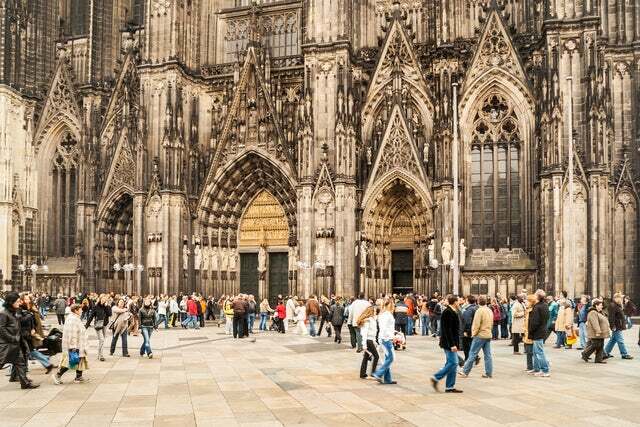 Below are the top activities to engage in when in Cologne. This cathedral happens to be the seat of the Catholic Archbishop of Cologne. Climbing the 533 steps of the 750 old Cathedral to the platform of the South Tower and enjoying the panoramic views will be one of your Cologne highlights. If you want to see Cologne from a strategic position, then you need to cruise the Rhine. The river cuts across the city and affords the photography buff some of the most strategic points to capture the city on a camera. The bier kellers of the old town are a great way to enjoy the light Kolsch beer. The people of Cologne take their beers a little bit more seriously than other Germans. Because the region is not known for its wine production, the Germans have perfected the art of making beer. Trust me; the best beers in the world are made in Cologne. Cologne's most mesmerizing attraction is undoubtedly the Hohenzollern Bridge, dubbed ‘Padlock Bridge'. Here is the story behind the padlocks: whenever lovers get together, they buy a padlock, engrave it with their names, and attach it to the bridge. They then throw away the key in the river as a sign of commitment to each other till death. It is crazy, but it has caught the imagination of Cologne inhabitants - 40,000 couples have already attached their padlock. There are probably more museums in Cologne than you can probably visit. Choose the museums that reflect you tastes. For example those who love music and art can visit the Museum Ludwig while those who enjoy perfumes can grace the Fragrance Museum. In Cologne, you will never be short of something interesting to do. It is an ideal destination for those travelling with their kids due to its numerous family friendly activities.